Benjamim Gitlow: The Whole Of Their Lives, Lenin’s Strategy after the Second Congress of the Communist International. The Congress over, Lenin’s strategy became clear: The Soviet government pushed for peace with the capitalist powers in order to develop trade and secure economic assistance; the Comintern worked for the building up of a strong international communist movement committed to the fomenting of class warfare and revolution in strict conformity to the policy of the Commissariat of Foreign Affairs. 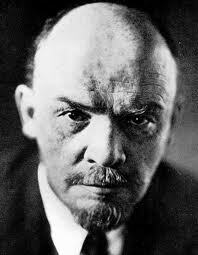 Lenin’s policy called for working with the capitalist powers with one hand and undermining them with the other. In addition, Lenin developed a pincers movement against the capitalist world, one arm of the pincers movement called for the organization of a communist revolution on the European continent, to begin in Germany; the other arm provided for the breaking up of the British Empire by financing and organizing nationalist revolutionary movements for independence in the British colonies. Lenin figured that success of the revolutionary pincers movement would give the Bolsheviks the undisputed control of the world. In carrying out Lenin’s policy the Politburo of the Communist party of the Soviet Union directed the Comintern to arouse the Mohammedan masses of the Near East against the British. In conformity the Comintern called a Congress of Oriental Nations at Baku as the first step in a plan to set the Near East aflame against Britain. Gitlow, Benjamin. “The Romantic Period.” The Whole of Their Lives: Communism in America : A Personal History and Intimate Portrayal of Its Leaders. Belmont, Mass. : Sudbury, Suffolk: Western Islands ; [Distributed By] Bloomfield, 1965. 31. Print.